Fun Board Games Which board game is best for you? Can the act of preventing a pandemic outbreak be fun? There is a board game that actually allows players to form a team to prevent diseases from spreading while discovering cures for those diseases. Players will travel through the world and treat infections while they find resources for cures. Using their individual strengths players will have to rely on their teamwork to succeed in the board game that is fittingly called Pandemic. 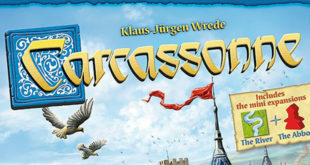 This board game was designed by Matt Leacock and published by Z-Man Games in 2007. The original game of Pandemic includes 7 Role Cards, 7 Pawns, 59 Player Cards (48 City Cards, 6 Epidemic Cards, 5 Event Cards), 4 Reference Cards, 48 Infection Cards, 96 Disease Cubes (24 cubes in 4 different colors), 4 Cure Markers, 6 Research Station Tokens, 1 Infection Rate Marker, 1 Outbreak Marker and 1 game board. 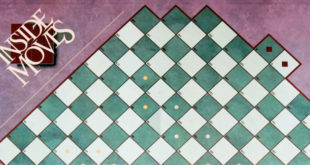 Making up the Disease Control Team, 2 to 4 players will work together in this cooperative board game where they will either win or lose together. There are 3 ways for the team to lose in Pandemic. One way to lose would be if 8 outbreaks occur, which will lead to a worldwide panic. Other ways to lose would be if there are not enough Disease Cubes left when needed (a disease spreads too much), or there are not enough Player Cards are left when needed (the team runs out of time to prevent outbreaks). The only way for the team to win is to discover all 4 diseases and cure them. None of the 4 diseases have to be completely eradicated. The 6 Research Stations are placed on the board and the Disease Cubes are placed near to the board. The cubes are separated by color into 4 supply piles. 1 Research Station must always reside in Atlanta, Georgia, which is the official headquarters of the Centers for Disease Control. The Outbreak Marker is placed on the “O” Space of the Outbreak’s Track. The 4 Cure Markers are positioned “vial” side up and the Infection Rate Marker is placed at the left-most “2” Space of the Infection Rate Track. The Infection Cards are shuffled and 3 of them are flipped over. Each player gets a Reference Card which will determine what role they will take on in the game. They are given the colored pawns that match the Reference Cards they receive. Epidemic Cards are passed out in varied numbers. 4 Epidemic Cards are passed out in 2-player games, 3 Epidemic Cards are passed out in 3-player games, and 2 Epidemic Cards are passed out in 4-player games. The Difficulty Level of a game varies between Introductory, Standard and Heroic levels. Any Epidemic Cards that go unused will be removed from the game. The Epidemic Cards that will be in use will be placed in face-down piles. On a single turn players can perform up to 4 actions, depending on what their special abilities are. There are 4 different Movement Actions. One is to move on the board by way of driving or using a ferry. 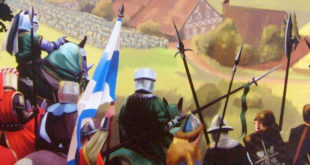 Players will move to a city by a white line that connects to the city they are in. Another traveling method is direct flight, which players will discard a City Card to move to the city that is named on that card. Another traveling method would be taking a charter flight, discarding the City Card that matches the city that a player is in to move to any city on the board. Finally there is the shuttle flight method, which is to move from any city that has a Research Station to any other city with a Research Station. In order to build a Research Station in a city, the City Card that matches the city a player is in must be discarded and then place the Research Station anywhere. Once players treat diseases 1 Disease Cube will be removed from the city they are in, and the cubes are placed in the supply next to the board. If a disease is completely cured then all cubes of that disease color will be removed from the city players are in. The act of sharing knowledge can be done in two ways. A player can either give the City Card that matches the city he or she is in to another player, or the player can take the City Card that matches the city he or she is in from another player. Players who share knowledge must agree on the terms and they must also be in the same city. The player who receives the City Card must immediately discard a card or play an Event Card if he or she has more than 7 cards. At any Research Station 5 City Cards of the same color are discarded from a player’s hand to cure the disease of that color. When a disease is completely cured that color’s Disease Marker is turned over to show the cure indicator symbol. A disease has been eradicated if no cubes of 1 color are on the board. Increase: where Infection Rate Marker is moved forward 1 space on the Infection Rate Track. Infect: Forces players to draw the bottom card from the Infection Deck. Intensify: The cards that are in the Infection Discard Pile are reshuffled and are placed on the top of the Infection Deck. Alternatively friends and family members can enjoy playing the expansion packs that add to the experience of the original game of Pandemic. The Brink: Released in 2009, features rule variants to include a 5th player new Special Event Cards and new challenges. The Lab: An additional aspect of research will be in play. 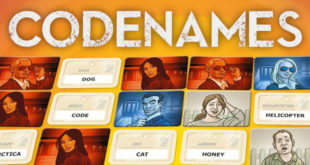 In this 2013 variant you get to play with new characters and use new Special Event Cards along with testing out 1-Player Mode and Team play Mode. However, In The Lab requires the On The Brink expansion pack in order for it to work. State of Emergency: Released in 2015, where players will receive new roles and events along with 3 new challenges. 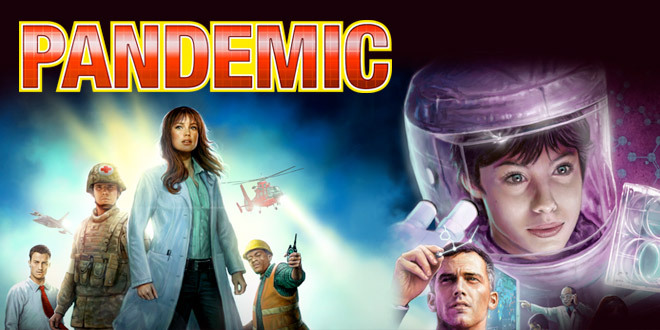 Pandemic is a cleverly made cooperative board game that allows for swift interaction between players who will have a limited amount of time figuring out how to cure diseases. The drawing and discarding of certain cards adds to the strategy of the game because tough decisions will eventually have to be made. Players may need to temporarily stop treating one disease in order to immediately eradicate another. If you enjoy the element of teamwork in board games Pandemic is certainly the game for you, your family and your friends.